Although there can certainly be a few disadvantages of a reverse mortgage, in many cases a quality reverse mortgage issued by a reputable lender can be a reasonable solution for seniors who need extra income. This type of loan is not without its pitfalls, however, so applicants must enter into the process well informed of what the loan entails. A reverse mortgage is not a loan in the traditional sense. Reverse mortgages allow homeowners age 62 and older to tap into existing equity for immediate cash. While some seniors choose to receive the reverse mortgage proceeds in one lump sum, others prefer to receive the funds in installments. How the funds are disbursed depends on the program the homeowner chooses. There are no monthly payments necessary with a reverse mortgage, and as long as the homeowner continues to reside in the home as a primary residence then the loan does not have to be paid back to the lender. The loan comes due when the homeowner moves out of the home or dies. Reverse mortgages are not magical solutions for seniors. The disadvantages of a reverse mortgage should not outweigh the benefits, otherwise the loan is a bad financial move. Reverse mortgages include closing costs and other fees, similarly to any other type of mortgage loan. You can expect to pay an application fee when submitting your application to your lender, and if you are already having financial troubles then this can be a hardship. Lenders sometimes allow borrowers to roll closing costs into the cost of the loan, but even if you do not have to pay these fees out of pocket the fact remains that you have to pay them nonetheless. 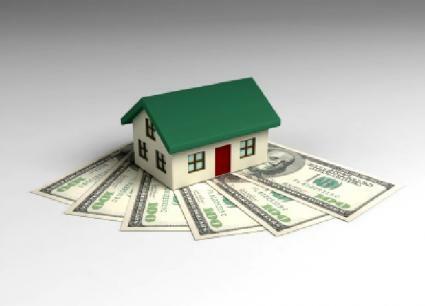 By rolling the closing fees into the cost of the loan you are reducing the amount of equity available to you. Since a reverse mortgage loan becomes payable in full if the borrower moves from the home, this can leave homeowners in a frustrating situation of wanting to move from their homes but not doing so because the reverse mortgage will be due upon moving. Seniors who want to move into a smaller home, or with relatives, or into an assisted living facility may be apprehensive because of the reverse mortgage pending. It's important to understand that a reverse mortgage significantly reduces the profit you will receive at the sale of your home, if any. By tapping into your equity, you are reducing the amount of money your heirs will receive upon your death. Traditionally, heirs either inherit the home or instead sell the home and take the monetary proceeds. When a reverse mortgage is in place upon the homeowner's death, however, the lender is the first entity to claim monetary proceeds. Reverse mortgages are marketed exclusively toward senior citizens, and unfortunately this demographic attracts a large group of unscrupulous people who try to take advantage of homeowners. It's a requirement for senior citizens to receive loan counseling prior to applying for a reverse mortgage, but this counseling should always be free of charge. Any lender or broker charging seniors for this counseling is doing so fraudulently. Some dishonest investment professionals will attempt to push seniors to get reverse mortgages in order to fund certain investments. It is relatively risky to put the equity in your home on the line in order to invest in something, especially for senior citizens who may already be on a limited budget. Seniors who suspect they have encountered reverse mortgage fraud should contact the Attorney General's office specific to their state in addition to contacting the Federal Trade Commission. It is also a good idea to have an adult child or other trusted person help you review reverse mortgage documents to make sure everything is as it should be. In most cases, seniors are allowed to cancel a reverse mortgage as long as the cancellation is done no more than three days after signing the documents and the cancellation is submitted in writing.